Sometimes the best way to share your love for Jesus is to inject a little humor! Let your sense of humor shine in our "Mustard" Christian T-shirt—a sure way to add a little flavor to someone's day. All things are possible with God, and this Daisy Yellow tee is a fun way to plant "mustard seeds" of faith everywhere you go. As Jesus told his disciples in Matthew 17:20, "Truly I tell you, if you have faith as small as a mustard seed, you can say to this mountain, 'Move from here to there,' and it will move. Nothing will be impossible for you." Do you ever find yourself smiling a secret smile, knowing you can triumph over any challenge, conquer any fear, and move mountains—because of Jesus? Don't keep that joy to yourself! Let others in on the gift of faith in God, and watch those smiles grow. God calls us to share His message of hope with others, and this bright, fun tee is an easy way to get people talking about faith. Mustard Seed Faith T-Shirt, Medium was published by Kerusso in August 2017 and is our 53732nd best seller. The ISBN for Mustard Seed Faith T-Shirt, Medium is 612978381427. Be the first to review Mustard Seed Faith T-Shirt, Medium! Got a question? No problem! 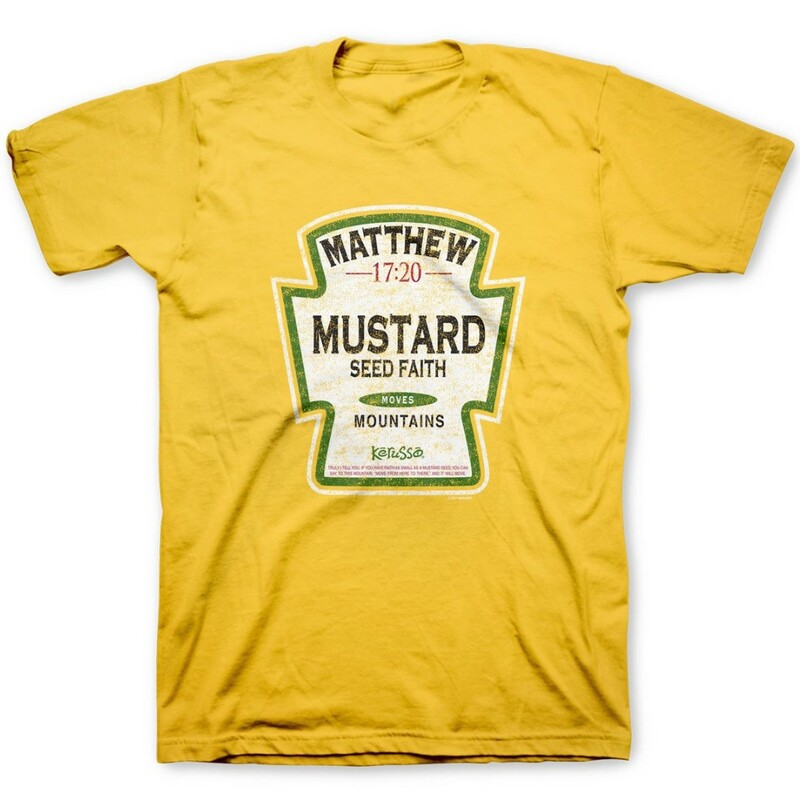 Just click here to ask us about Mustard Seed Faith T-Shirt, Medium.